What makes a good cocktail? And I’m not just talking about the ingredients like gin, bitters, or vermouth. I mean how were those individual ingredients created? Where did they come from? What’s their history? 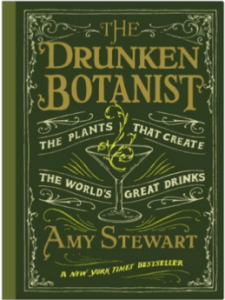 If you’ve ever wondered the same, you should check out the book, The Drunken Botanist: The Plants that Create the World’s Great Drinks, by Amy Stewart. Stewart breaks down the botanical origins of all our favorite libations: wine, beer, spirits, and even a few mixers. Though the book is formatted like a textbook or encyclopedia with each plant getting its own section, it’s easy to quickly read it cover to cover, from Agave to Zanzibar cloves. She provides intriguing historical facts, brewing information, advice (and warnings!) on growing the splendid plants yourself, drink recipes and brand recommendations. The agave plant used to make Tequila is not a cactus but a member of the asparagus family. It isn’t the wormwood that made France’s 19th centurey bohemian set “crazy” when drinking Absinthe, but rather, it was that is was traditionally bottled at 70 – 80 % ABV – making it twice alcoholic as gin or vodka. Ever wonder why créme de menthe or créme de cassis doesn’t have cream in it? The term créme actually indicates a higher sugar content and is meant to signify an especially sweet liqueur. Cork comes from the Portuguese Oak Q. Suber. These trees live for more than two hundred years, and by the time they are 40 years old, they have produced enough of their spongy bark to harvest four thousand corks! This is because the bark stripping process doesn’t hurt the tree and it continues to regrow the precious bark year after year. This is only a taste of the delightful tidbits you’ll find in The Drunken Botanist. Check it out for yourself – you never know what you might learn! I hadn’t been to Kentucky since 1971 when I drove cross-country (during those halcyon days of my youth) in a ’61 VW Van with four of my college chums. While I was there I tasted Kentucky bourbon for the very first time. Here is what I remember: I thought I was going to die. I coughed, I gasped for air, my eyes burned red and ran with tears. It wasn’t a fun experience at all. I was quite the novice when it came to alcoholic beverages. Fast forward to last year. In April, I flew to Louisville for eight days to put the final touches on our Taste Vacations Kentucky Bourbon tour. I had a very busy schedule in front of me meeting our business associates, restaurants, distilleries, and chefs. On day one, I met one of our local partners at his office. We exchanged a few pleasantries and then he told me that before we get started on our day of activities, we were going to do a little bourbon tasting together… it was nine o’clock in the morning. He wanted to introduce a novice like me to the wonders of Kentucky bourbon. So without further ado and with a twinkle in his eye, he lined up four bourbon glasses in front of us. Next he went into his (locked) liquor cabinet and brought over four different bottles of bourbon. He then poured 1 oz. shots into each glass. It was a progressive tasting, meaning I started with the lightest style bourbon progressing my way up the bourbon complexity chain to experience more and more flavor profiles. I can’t remember having tasted Bourbon since that 1971 experience. I clutched the glass with trepidation, held it to my nose and, inhaled the aromas of the drink. Hmmm…it smelled quite good. Good start. Next, I took a small sip, closed my eyes, and swished it around my mouth letting the liquid gold dance on my tongue for a few seconds before swallowing it. This was my first taste of a premium bourbon: Makers 46. And my opinion about bourbon changed in about a nanosecond. This drink was really very smooth, nothing like I remembered at all. The OMG finish had flavors of vanilla, caramel, honey and butterscotch. I sadly realized how much of a good thing I had missed over the years. But wait … it gets better! Each bourbon was uniquely different and I’m not even sure which one I liked the best. I’m certainly going to have to do more “research” in the future. The following eight days were spent meeting some of the most hospitable people on the planet. “Southern Hospitality” is for real. I also saw the best of the best the Kentucky Bourbon Trail has to offer and was able to arrange visits for our tour that are generally not open to the public, making our Taste Vacation to Kentucky a very special and memorable trip. 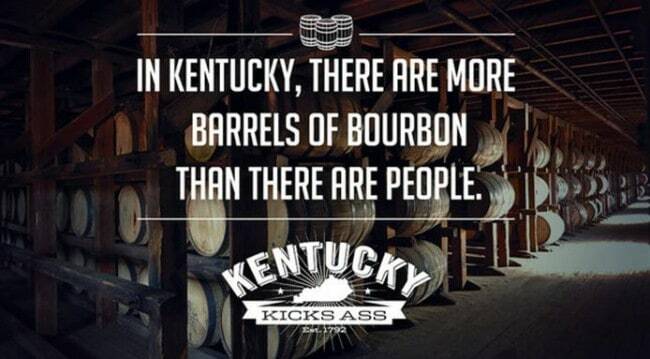 I recently read an interesting Associated Press article about the Kentucky bourbon industry. I must admit I can’t remember the last time I read an article about Kentucky Bourbon. I am sure if one lives in Louisville these articles appear all the time. But for those of us in the rest of the country, this seemed an unusual event. Apparently high-end consumers in China as well as the American public have developed a taste for Bourbon and the Kentucky industry is humming along to meet the demand. Sure seems like a good time to offer a Kentucky Bourbon Tour!